Winter weather can wreak havoc on your home. Especially living in Southern Ontario when temperatures rise and drop with unpredictability. The snow and ice from the bitter cold that continually unthawed during spring like heat bursts this year can definitely affect the exterior of your home. 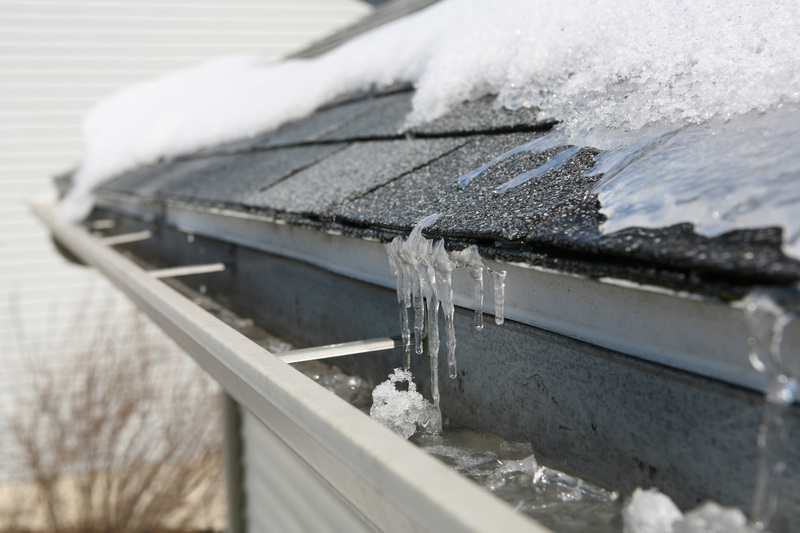 Ice damming can be an issue and occurs when the snow on the roof melts, runs to the edge and then refreezes forcing water back up the roof where it can cause leaks and shingle deterioration. Not to mention the high winds we experienced recently can tear off shingles driving moisture beneath them and also damage exterior elements such as siding, windows and doors. With warmer weather right around the corner (fingers crossed) now is the time to do manual checks of your property and look for signs that could create bigger problems down the road! As most thing in life it is much easier to prevent damage than it is to fix it after it has occurred, so this quick two step guide will help you pin point issues you should address first to keep your house in tip top condition. Before pulling out the ladder or getting your work boots muddy, start by surveying the inside of your home. When the snow and ice starts to melt there are clear signs you can look for to spot where excess water might be getting into your home. Start from the top to the bottom to save yourself time, because if water is getting in from a faulty roof you are most likely to spot damage in the attic or upper levels. You should also inspect target areas like chimneys, windows, crown mouldings, ceilings and entryways. Keep your eyes peeled for water stains, discoloration on ceilings or walls, broken sealants or cracking plaster. If you notice any of the above, you will want to contact an expert to inspect the house further. Also be mindful of any areas in the home that felt cold even with the furnace on this winter. 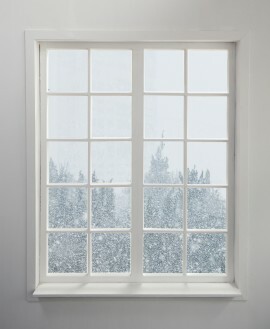 Drafty windows and doors not only increase heating and cooling bills but can also let in outside moisture which can cause water damage inside your home. 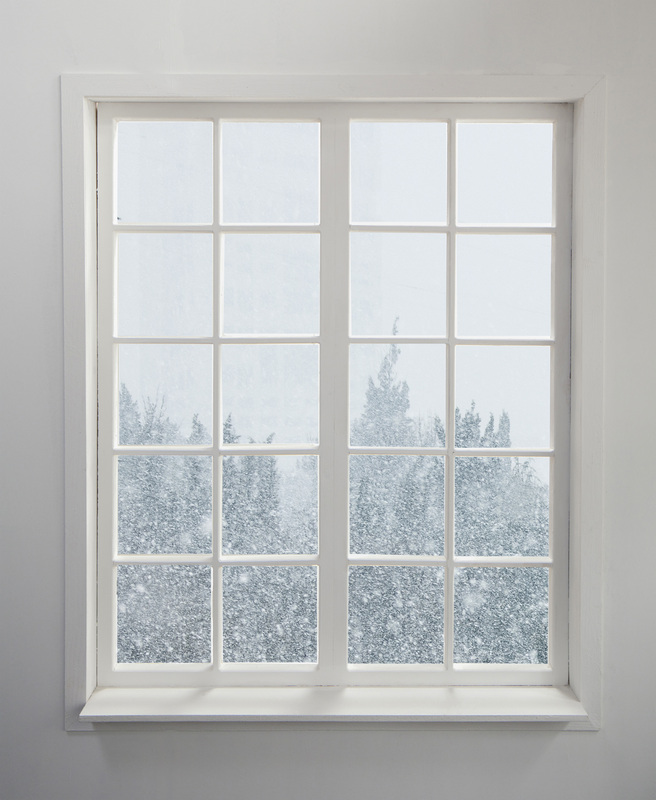 Windows and glass doors that showed signs of freezing on the inside of the home should also be inspected by a home renovation specialist to see if they need to be re-sealed or replaced. If you’ve done a thorough indoor check and have noticed no signs of damage that doesn’t necessarily mean you are in the clear. 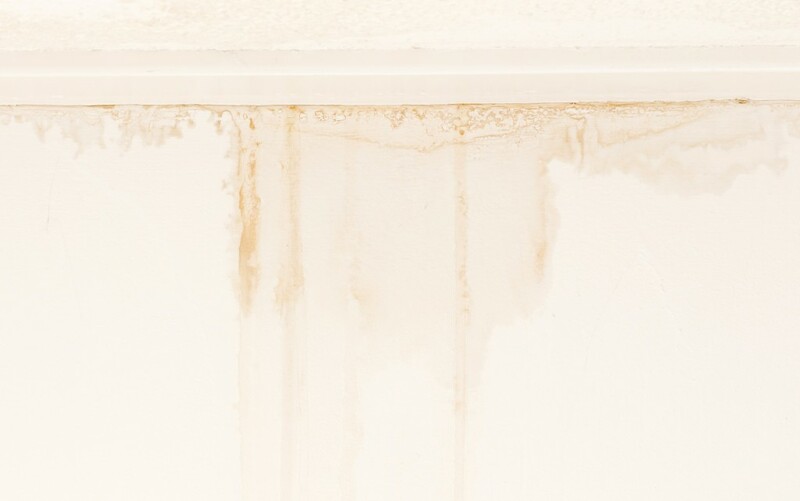 Water damage can occur when it isn’t readily apparent and even if the interior isn’t showing signs of dampness or mould and you could still have trouble with your exterior. When it comes to checking your home, safety is always of the highest importance. We don’t recommend pulling out the ladder and getting on the roof yourself, especially as the temperatures are still cold and ice might be present. What we do recommend is looking for as much as you can on the ground. Take a few steps back and survey the roof. Look for damaged, broken and flapping, buckled or raised shingles. Survey edges and corners to make sure sealants look intact. Inspect eaves and gutters to see if they look congested with ice or debris. Check out exterior siding, windows and doors for damage as well. Peeling paint can be a sign of moisture infiltrating which can lead to rotting wood and costly future repairs if not taken care of. Keep a notepad on hand and write down everything you see. If you are at all concerned about the state of your home, it is always best to call experts to fully examine. At Diamond Home Improvement we take great pride in taking care of your home and the people who dwell inside it. All of our in-house estimates are free of charge and we will never quote work that is not needed. If there are issues that should be addressed, we will offer three resolution plans, with competitive pricing and financing options available.